I recently posted a series of photos highlighting places from the Natural World I've encountered in my travels that have inspired me in my life and work. Nature for me is the pinnacle of what is possible. The complexity of the symbiosis of all the forces of Nature spinning around, from the most infinitesimal particle to the far reaches of our racing universe feels like magic to me. I think you really have to abandon all hope of rationalizing this magnificent system and just commune with it to really experience it on the whole. Religion and science try to make sense of it all, but it will always be more than you can imagine until you fully succumb to it. We are the species with the big brains and the handy body mechanics to build things, and as a result I think we rationally tend to stray from the profound, all encompassing connection to the environment around us; that which is always there, all the time. We go about our days ruled by our egos and our identities and our relationships and the way we define the world, and end up not feeling the intrinsic connection we have with our environment. We are taught from birth to categorize our perceptions. Organized religion has to be learned. For instance, take the fact that an enormous number of people who might otherwise be considered worldly and respectable but know nothing about plants beyond the basics; thats a tree, a bush, grass, flowers, roses, and some vegetables. But we would not have evolved to be what we are as an organism without plants. Therefore, I think it is essential to explore the world of plants in order to be a more environmentally conscious person. Gardening is one of the best ways to do that, and observing nature with an open curiosity that really gets you to look more closely, to study, feel, smell and listen to what you are passing by as you move around. It will make you exponentially more aware of what is happening around you. We hurtle through space in cars on pavement far too much these days. You've got to stop, and smell...everything, including the roses. Agricultural advances made it possible for humans to gather in large enough numbers to create societies and to celebrate collective beliefs. 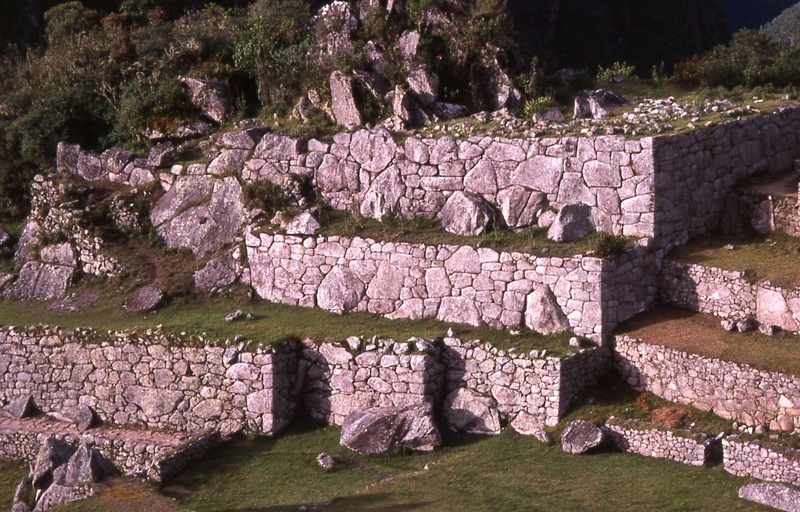 There is a theory that devotional sites where people gathered predated actual settlements. 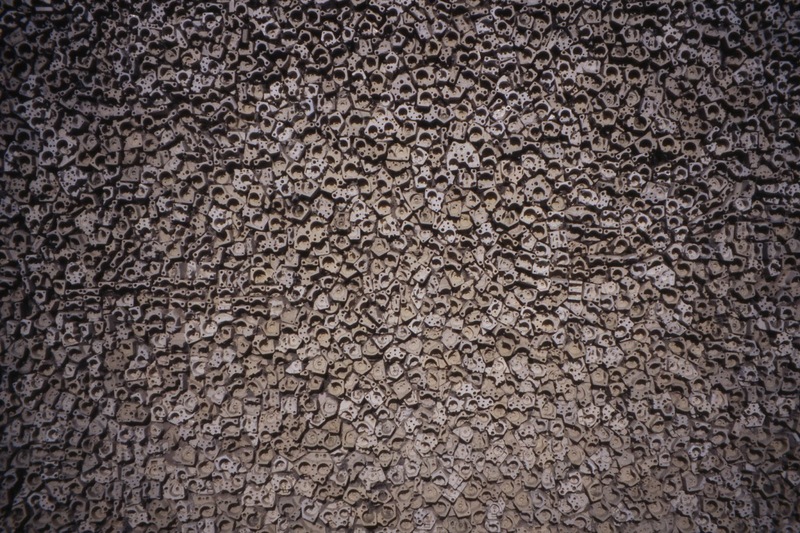 Architecture is the means of bringing beliefs to form, and those rendered in stone often remain as the main historical record of these endeavors. The largest temple structure ever built by humans on this planet is a sacred architectural manifestation of a cosmic order that explains the creation of the Heavenly realm, manifested in the Earthly realm. This place is utterly profound. There is sacred geometry and numerology and alignments with the sun, moon and stars that are a pinnacle of human expression. The largest and finest bas reliefs I have ever seen are here. These are unparalleled masterpieces telling the tale of the Hindu God Vishnu presiding over an epic metaphor for the energies needed to create the universe. The relief panels line up with the shadows cast by columns of the sun and moon on equinoxes. One side of the temple reliefs appear crudely rendered compared to the others, but this vast complex is about as close to perfect as we builders ever get. You cross the Eternal Sea over a causeway that goes backwards through a divine time span called a Yuga, to an earlier, more connected period of consciousness. It can be useful to read the Wikepedia description at http://en.wikipedia.org/wiki/Yuga to get a better understanding of these concepts. They are grand and abstract. 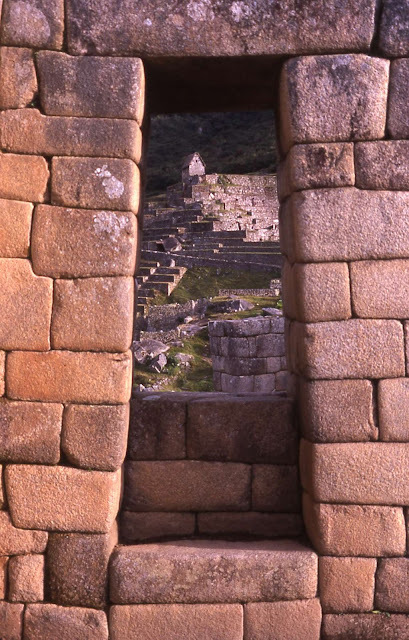 So as you approach the main temple mountain, you move back in time and enter realms of increasingly greater divine consciousness, until you reach a series of terraces punctuated by nine towers in concentric squares. To climb to the top level is to enter the realm of the Gods. In order to do this the structure has to have perfect proportions based on a system of geometry that is called Vastu Puranic architecture. The perfection is recognized and therefore attracts the energy of the Gods. Unless I want to write a book, I will have to leave it at that. The first time I went to Cambodia, the Khmer Rouge still controlled most of the country beyond the capitol at Phnom Phen and Siam Riep, where Angkor Wat lies. 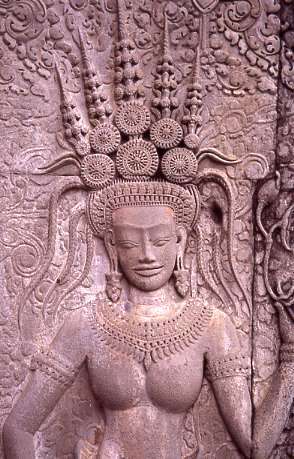 Angkor was once a great city of the Khmers, the seat of the God King, with a perfectly conceived cosmic order to the central city. I stayed for two weeks, sitting for long periods at various sites. There are more than 70 of them. A couple of mornings I had my motorcycle chauffeur take me out to Angkor Wat to watch the sun rise. The second time I was the first arrival and I believe I had the entire holy mountain to myself. People began to trickle in as the light illuminated the mists of the surrounding jungles. It was one of those rare experiences in life that may never be possible again. 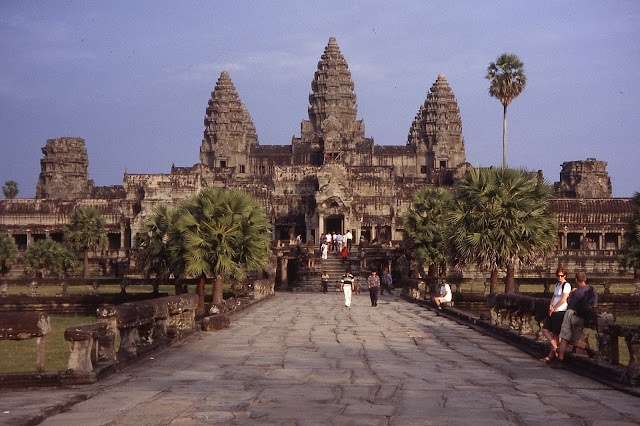 Angkor today is mobbed with tourists now that it is once again a safe place to visit. It almost seems stereotypical to move next to the Taj Mahal. This white marble tomb is by far the most famous structure in India and one of the great architectural icons of the world. 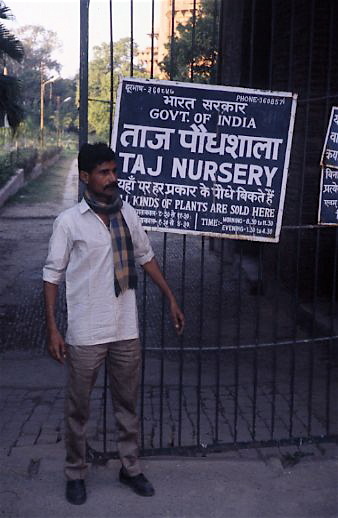 It wasn't until my third trip to India that I finally went there because it was just too damn famous. Boy was I made the fool. I stayed for a week and scoured every inch of this breathtaking creation, and returned again the following two years. Shah Jahan had his architects research every notable structure within their reach to realize the concept for this immaculately conceived complex. The tomb sits on a white marble platform by the Yamuna River within a classic walled Chahar Bagh garden, an ancient Persian form divided in to four parts with a water channel at the center of the axis. These represent the four rivers of paradise The gates you pass through are exceptional on their own. Then there are vast gardens and marvelous structures perfectly oriented for balance and harmony. Most people head up the central walkway to get to the main tomb, give it a look, pose for lots of pictures, and head back so they can get in a nap at the hotel before dinner. 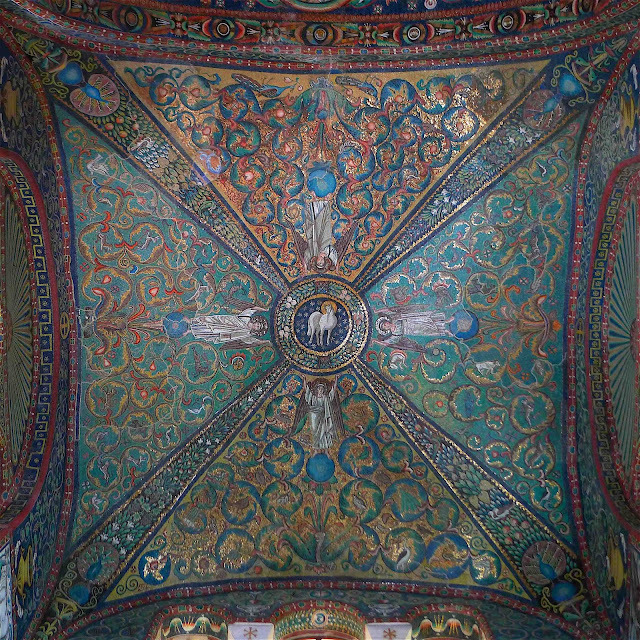 But you can sit on the lawns all day and just gaze at the most perfect dome ever conceived by man, admiring the way the light changes its character. The proportions are perfect. 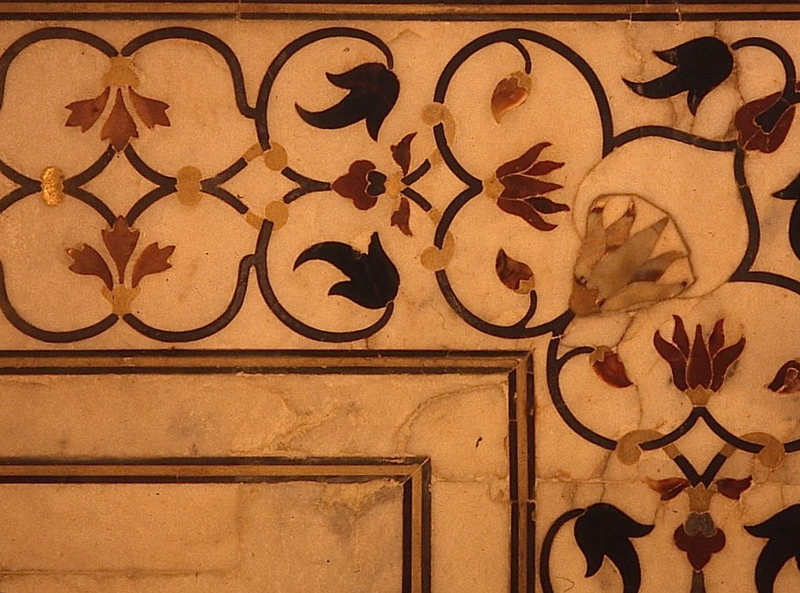 The marble is inlayed with semi precious stones forming exquisite floral and calligraphic designs. The place is big and there isn't a wasted spot in the equation. It was built to be perfect. The minarets are actually shorter in the back than the ones in front to give a more balanced appearance. I went in enough times to get to know the guards and was able to stay after everyone else left in the evening. One day I decided to walk around the exterior wall. Being a gardener made it possible to persuade the guard at the garden to the left to allow me to explore the flower and vegetable gardens carefully tended below high red sandstone walls carved with beautifully rendered reliefs of vases filled with flowers. 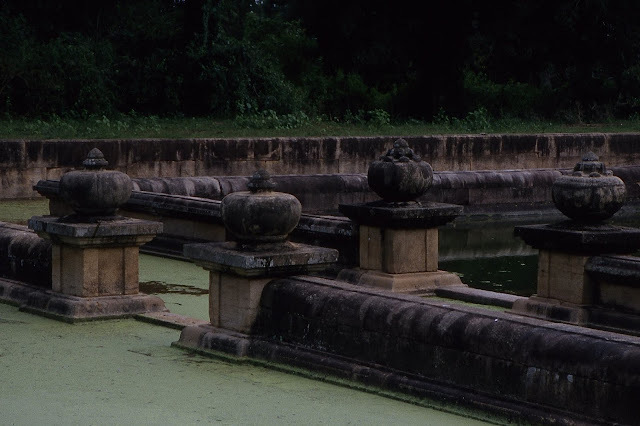 As Mughal civilization grew more refined, the garden became the paramount art form of desire. Flowers are a symbol of tranquility in a chaotic world. 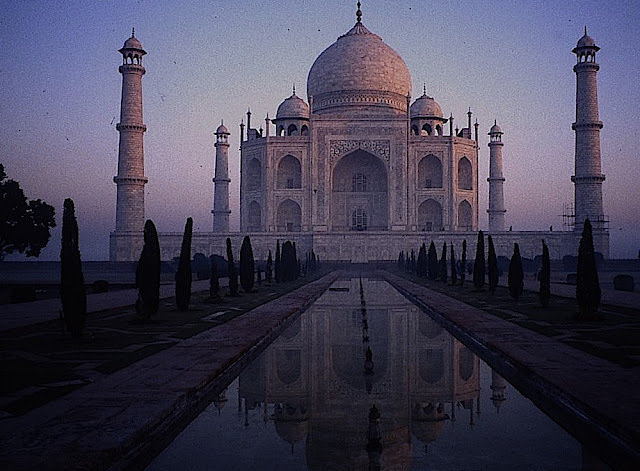 The Taj Mahal taught me that something can be beautiful from a mile away and just as beautiful from 3 inches away. Its hard to say that about most modern construction. On that same trip I made the pilgrimage to Barcelona to see the Modernismo architecture that makes this city famous. Antonio Gaudi is the best known of the architects from this period and was commissioned to design a number of increasingly fantastic structures that derive their influence from nature. It is here that I became infatuated with mosaic encrusted surfaces. 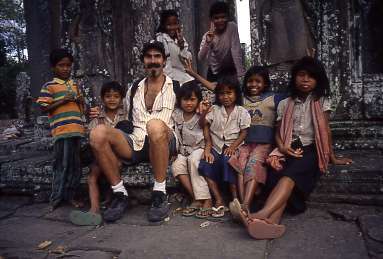 My first trip to Asia was to Bali, where I lived with a family in the then tiny town of Ubud. 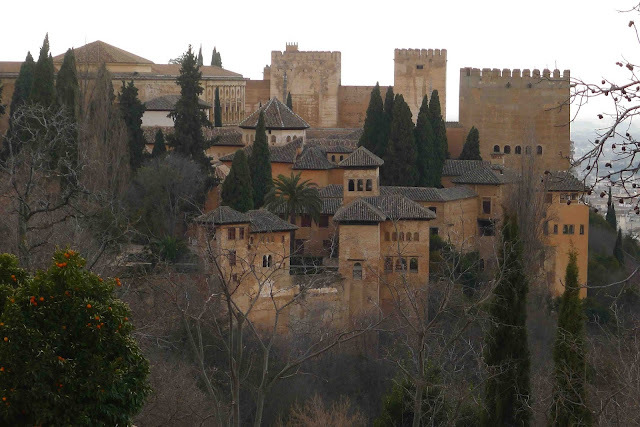 It is here that I experienced a tradition of finely crafted architecture imbued with great meaning. The cycle of life is intrinsically bonded with that of the moon. 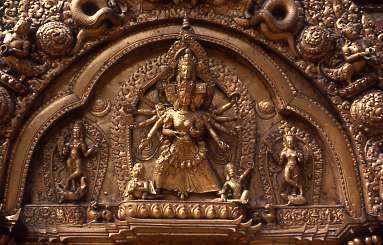 Watching the daily rituals, ceremonies, and dances made me realize that life can be a celebration of the divine. 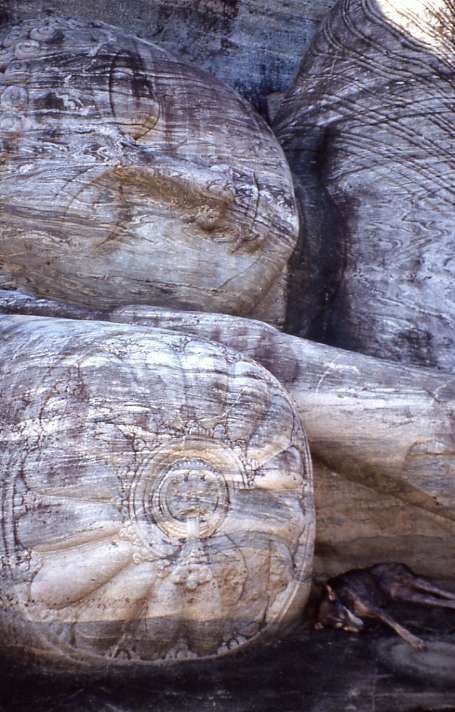 This was the first place I encountered the art of stone being carved. 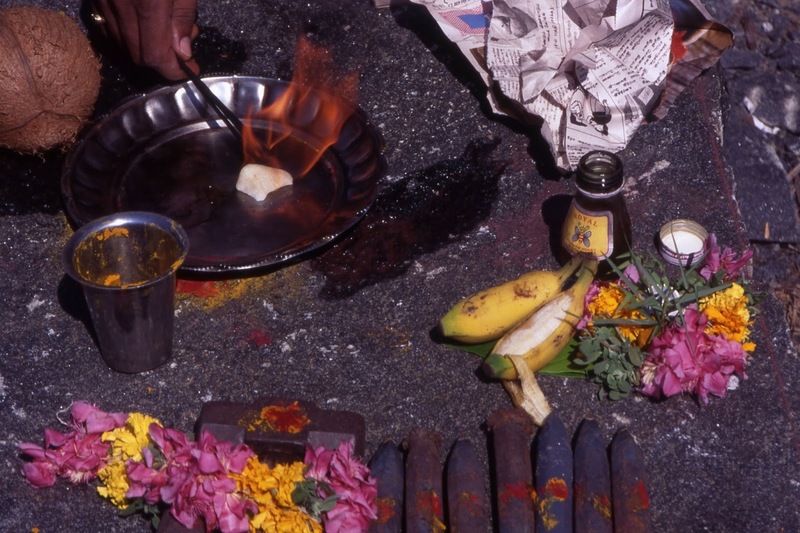 The first time I went to India was via the island of Sri Lanka where I went to spread the ashes of a close friend who had died of AIDS. He had always wanted to visit friends who lived in the capitol of Colombo who I had never met. They greeted us on arrival at the airport and I spent 2 months exploring this fascinating and magical place with two friends. I spread the ashes around a stupa at Mihintale, the place where Buddhism was introduced to the King of Sri Lanka in 247 BC. There had been heavy rainfall and the plains were flooded with fresh water, filling all the tanks and pools. This was one of the most beautiful and memorable days of my life. 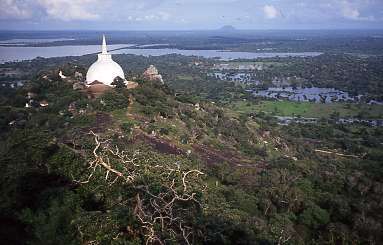 The ruins of the ancient cities of Annuradhapura, Polonoruwa, and Sigiriya are some of the most dramatic in Asia, with huge hemispheric stupas and called Dagoba's. 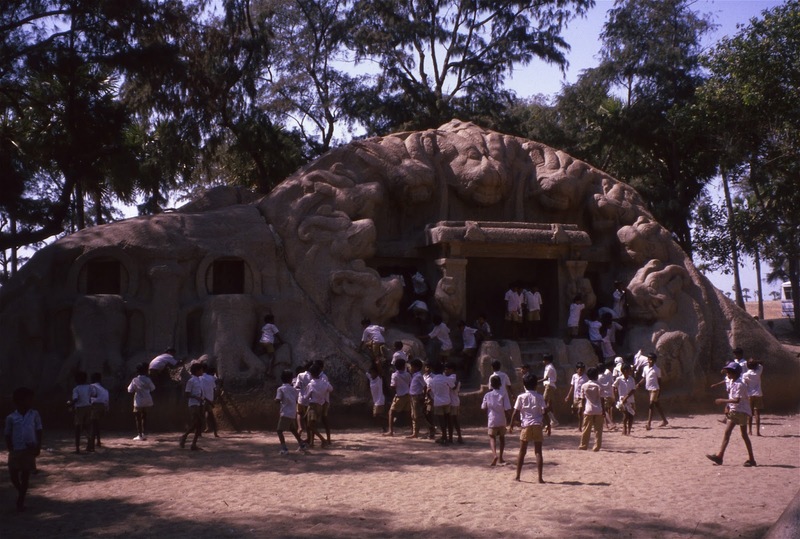 Mahabalipuram is a small, ancient village on the Indian Ocean in the state of Tamil Nadu, India. It is here that the prototype of the South Indian temple was created by experimenting with a variety of styles carved from monumental rock formations. There is still a thriving stone carving tradition after 2,000 years. The sound of hammers and chisels pinging away at hard granite blocks to render a pantheon of Hindu deities and commissioned works lured me back the following year to work with carvers on my own projects. I had a number of pieces made that live in my house and garden today. One of the most influential parts of the carving process for me was the blessing of the stone and tools before commencing a project as the work is so time consuming and precise as to be an act of devotion. I've only built one project where I performed a similar blessing ceremony at the beginning and the results were truly profound. There is something about Rajasthan that feels intoxicating to me. It is the part of India I returned to 4 times. 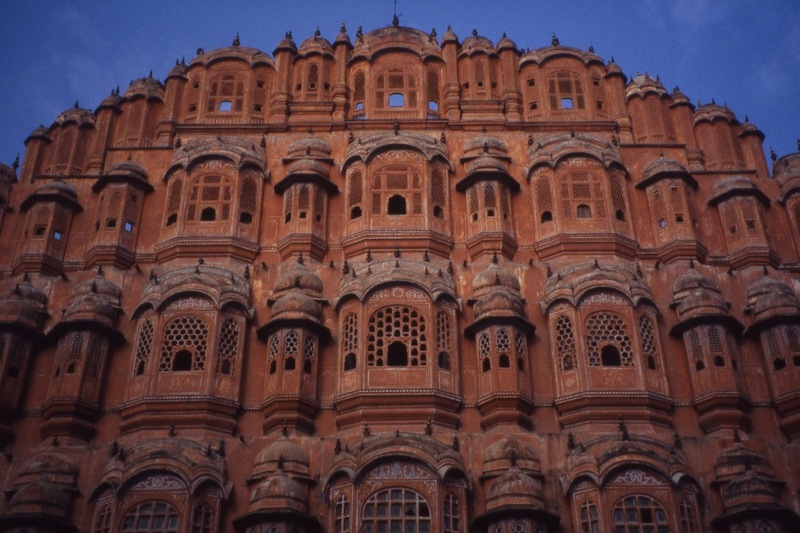 Cities seem to emerge from a dream as much as they do from the desert, all in carved sandstone. 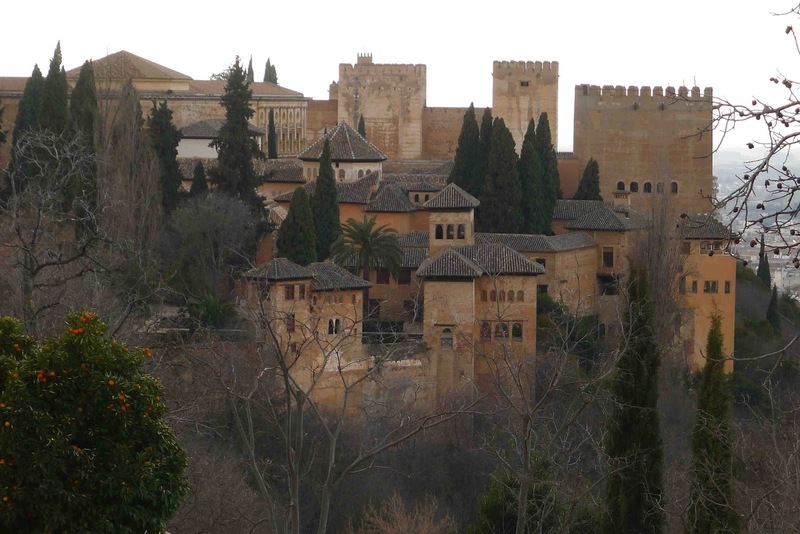 The color of the local stone determines the predominant color of the town. Jaipur is pink, Jaisalmer is golden, and Jodhpur could be called pink as well but a lot of the houses are painted light blue. 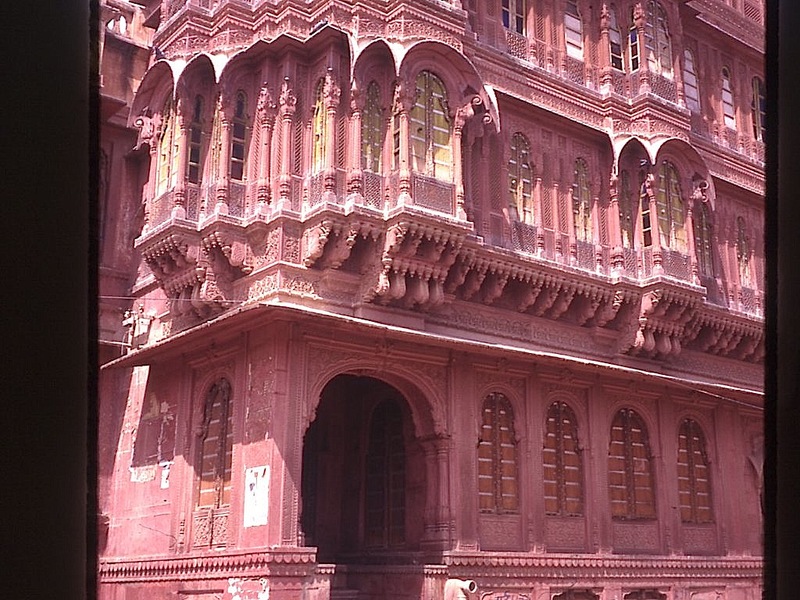 Bikaner has a kind of Victoriana about its heavily embellished architecture. Shekhavati is covered in paintings. Bundi's palace was painted with single hair brushes. Udaipur gleams of white marble on a lake, and Mt. 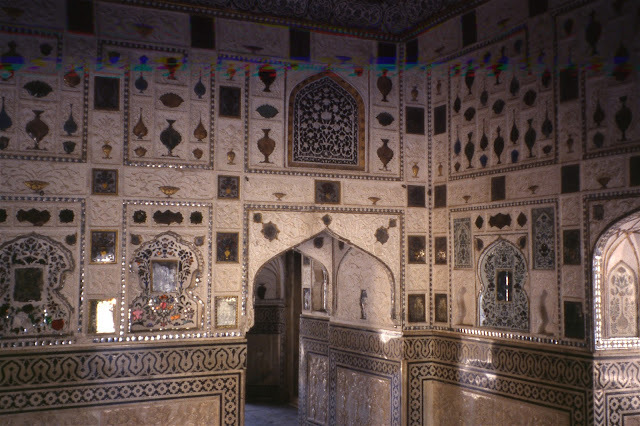 Abu and Ranakpur have some of the most ornate and delicate carving ever rendered by the hand of man. In Jodhpur I rented an old bicycle and on an outing to the Umaid Bhavan Palace found a row of antique dealerships. 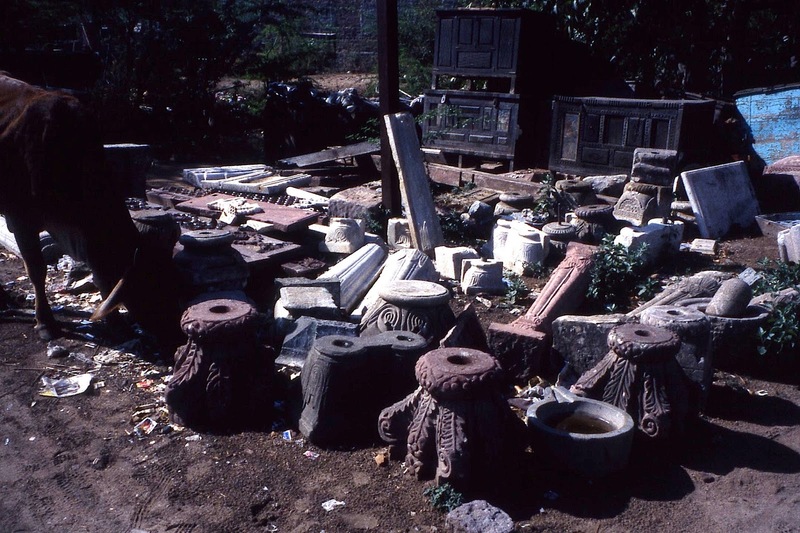 Mainly they sold furniture made from recycled wood and carvings and brass work but out back, often more discarded than on display, were parts of demolished buildings, carved sandstone window frames, panels, screens and columns. Sometimes we had to dig the pieces out of the ground as they had been buried by sand storms. But I saw the opportunity to bring them back to life in my garden designs. So over 3 years I shipped about 3 tons of old and new stone work. The road to Mumbai from Jodhpur is very long, followed by a sea voyage to Singapore and then Los Angeles. There the crates are transferred to a train and shipped to Portland where I pick them up at customs. I was able to sell maybe 30% of what I bought and the rest later went in to my new garden next door. So when I say my garden feels like a Rajasthani Maharaja's Palace it literally does. 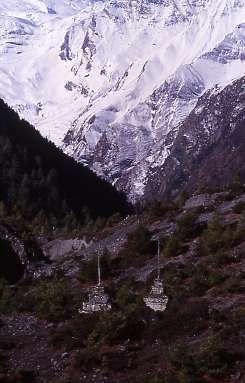 I spent 3 winters in India where I traveled north in the Spring to Nepal to trek in the Himalaya. 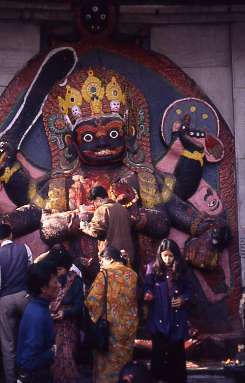 The Kathmandu Valley is the center for ruling classes and a number of small but brilliant temples were built for the royal family and their subjects. The valley has gentle rolling hills compared to the steep terrain of the mountains, which for centuries were only accessible by foot paths. Much of the country still like this although invasive and highly destructive road projects are being built that will forever change the villages along the way. One thing I learned is that when you don't have vehicle access, the architecture becomes truly vernacular in that everything is made of local material that has been carried by hand. Glass windows are one of the few things that are trekked in from afar. As soon as a road arrives the tin shacks start popping up all over. As soon as I graduated from college I hit the road. This isn't unusual except that I never stopped doing it. 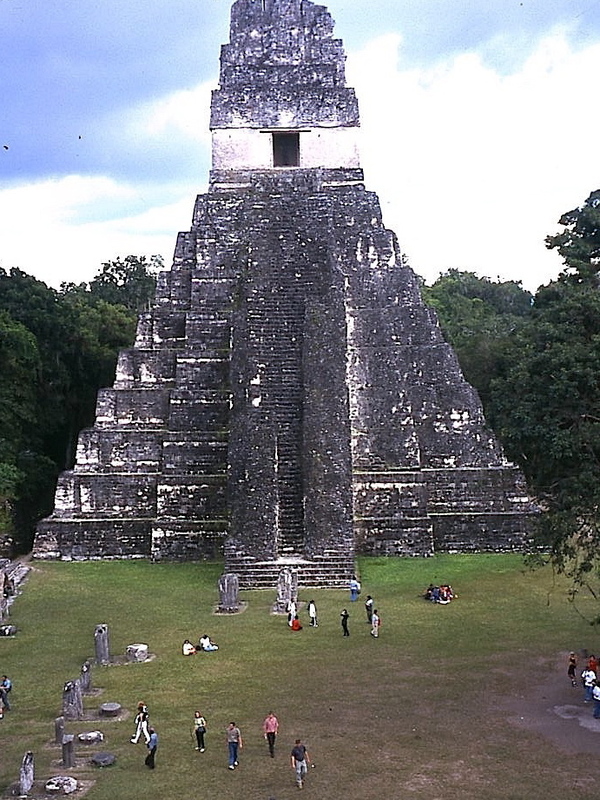 My first exotic trips were to Mexico, where I visited numerous excavated ruins of once great civilizations. 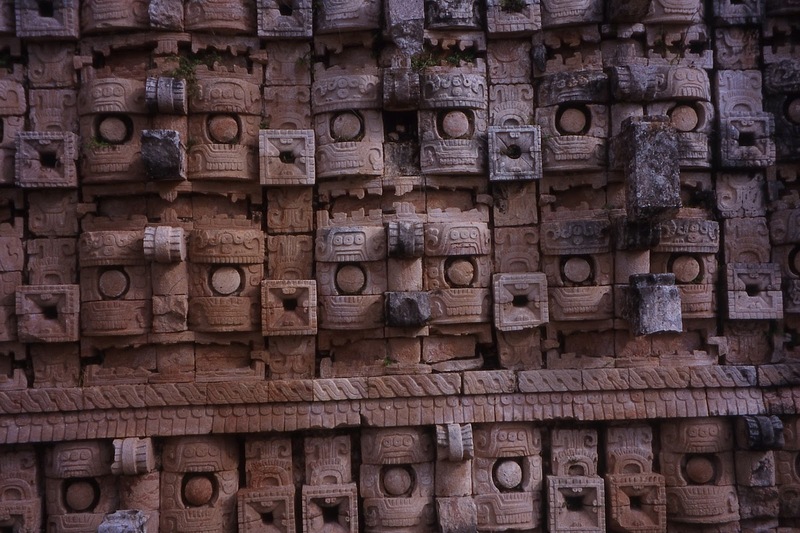 The first was Teotihuacan, one of the oldest and most spectacular pre Colombian cities. 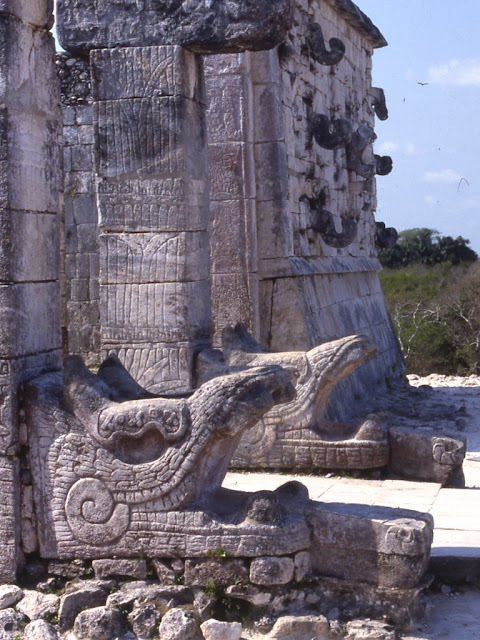 I explored Monte Alban and Mitla near Oaxaca and traveled all over the Mayan realm in the Yucatan Peninsula down in to Guatamala. I've incorporated symbolism in my own garden inspired by those that moved me here. Years later I ventured down in to Ecuador and Peru to experience the world of the Mochica, Kuelap, and the Inca empire. 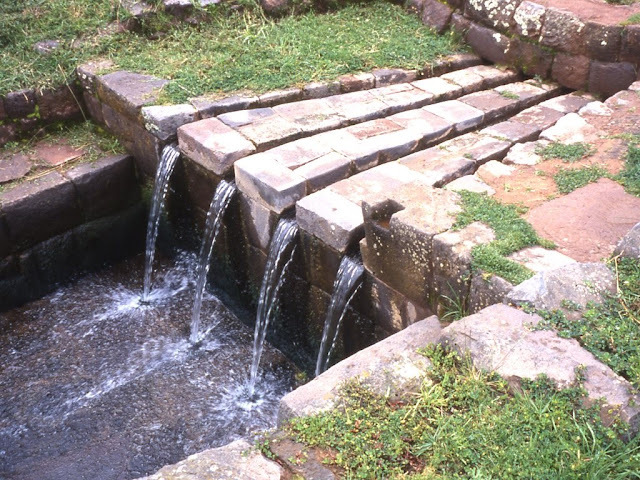 The Sacred Valley is filled with profound ceremonial sites that combine stone, water, and light to create a bond between man and the greater universe. 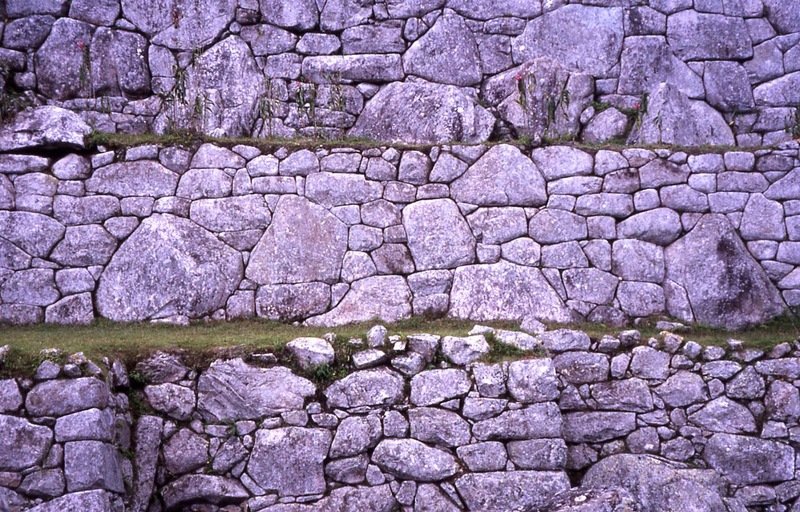 The tight fit of monumental stones and the way they are organically composed to withstand earthquakes and last beyond the life span of the civilization itself left a lasting impression on me. If you do it right it may just have a legacy that becomes treasure for future generations. I learned that I could teach myself to build with stone in an artistic way, inspired by this man's vision. All of the work was done by hand and thousands of tons of material were moved by bicycle, usually at night. 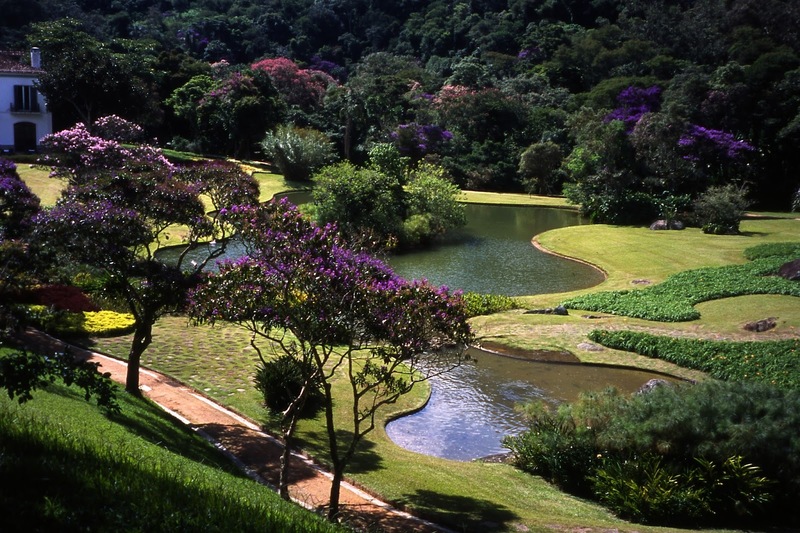 The garden now covers more than 40 acres. It took us 6 hours to walk through most of it and I cried several times, overwhelmed by the incredible effort and resolve required to create such a place. I know first hand how hard the work is. 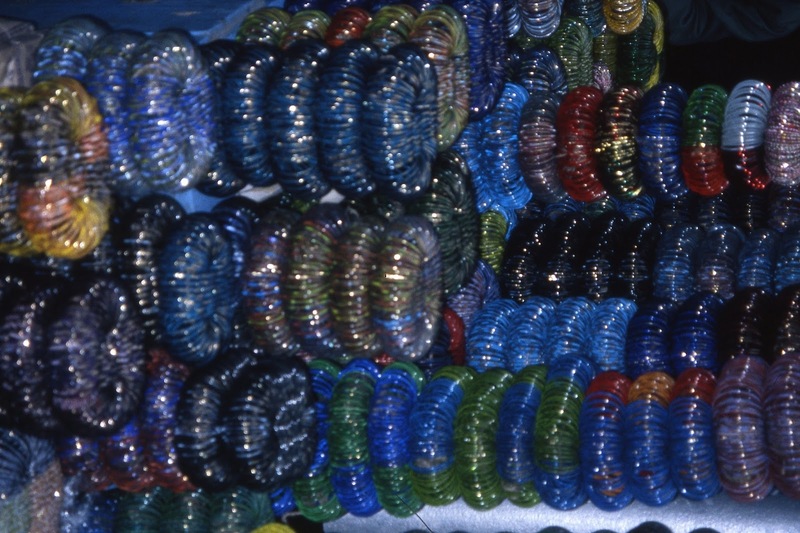 A large number of figures are encrusted in rows of broken lac bangles like these for sale in a market. 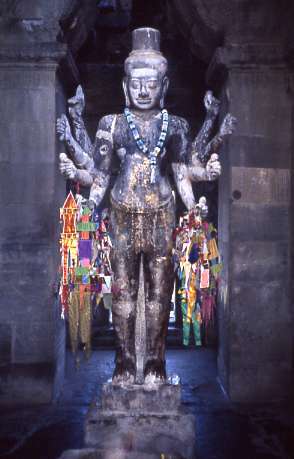 He needed perhaps millions of pieces to make the saris and feathers on hundreds of women and birds. Porcelain from sinks and toilets of the towns demolished to make way for the new city cover valley like walls dotted with figures. One marvelous wall is covered in ceramic florescent light sockets creating a modern yet organic texture. 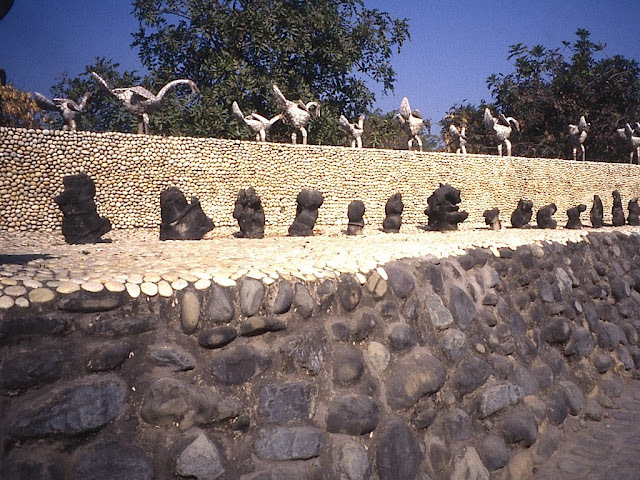 Rocks with special character that the artist felt embodied special energy are displayed on a ledge covered in white pebbles, topped by rows of birds. 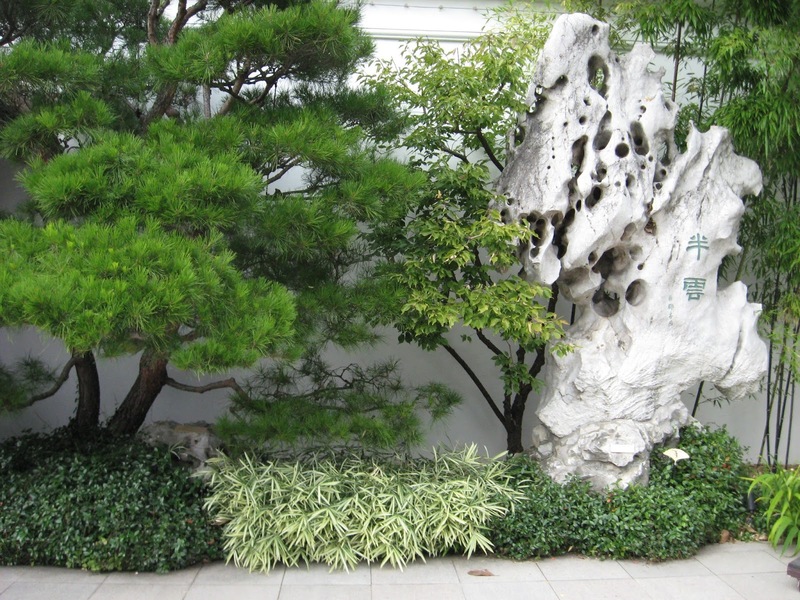 In 1999 the city of Portland, Oregon broke ground on a sister city project with Suzhou, China to create a Ming Dynasty Scholar's garden in the Chinatown district of downtown Portland on the site of a parking lot. 65 Chinese laborers handcrafted a wonderful series of pavilions around a lake. In my mind is one of the finest achievements in Portland's history and a rare example of modern craftsmanship. Things like this rarely get built in America. At the time of construction nobody was documenting the process and I couldn't help but stick my nose in to see what was happening as construction commenced. Crates containing many tons of Lake Tai Scholar's stones were unloaded from ships, along with many more containing sorted pebbles. Men smoking corn cob pipes squatted for weeks tapping pebbles in to a sand mix for the mosaics while pot bellied American workers stood around in hard hats. 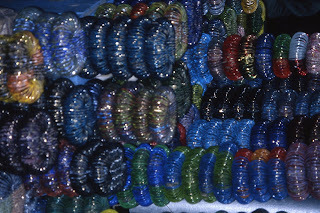 None of the Chinese craftsmen spoke English, so I took pictures of my mosaic projects to show them that I work in a similar medium. 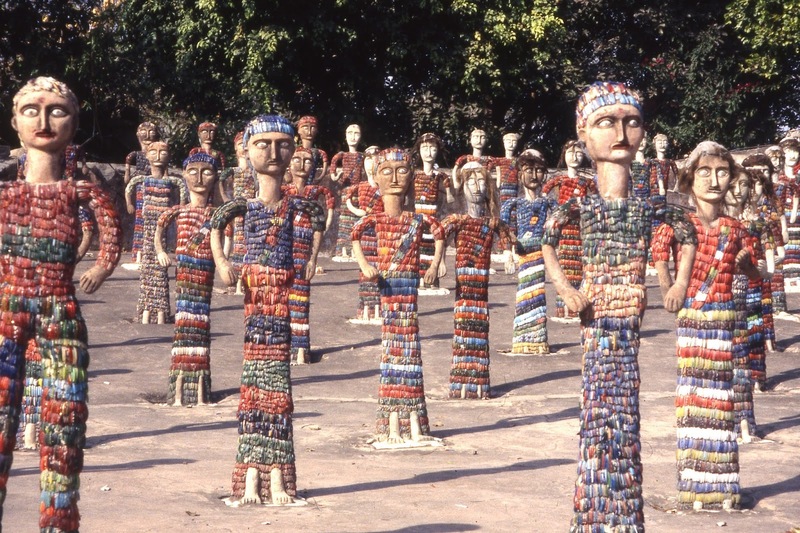 The garden contains perhaps the largest pebble mosaic installation in the United States. Hand crafted environments have a magical quality that you don't find in conventional construction. The gates are capped with Chinese characters that allude to poetic ideas, setting the tone for the transition between courtyards and paths. 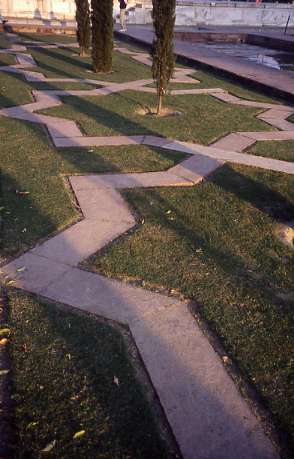 The pavements are pebble mosaic set in patterns mortared in to patterns which also have meaning and poetic significance. I have visited other Suzhou style gardens in the United States but none compare to this magical place. The upstairs in the tea house is my favorite room in Portland, and musicians playing Chinese instruments fill the building with the sweetest sound as lotus nod on the mirror of the lake. Watching the garden come to fruition and grow with impeccable maintenance has been a joy to behold. One pavilion is built to mimmic a boat on the water. Perfectly integrated benches make for places to sit and contemplate the serenity and elegance of this careful blending of architecture, nature, art, religion, and the life of a scholar's family. In my mind is one of the finest achievements in Portland's history and a rare example of modern craftsmanship. I love fantasy landscapes. 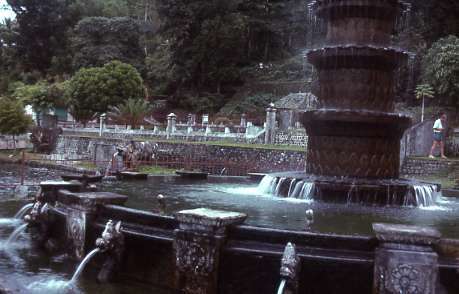 The Italian Renaissance had a Mannerist period where some of the World's great water gardens were created. Traveling in Italy is a dream come true for me. I returned for 3 months this winter for another dose. My first trip took me to the Villa d'Este, Villa Lante, Villa Farnese, and the Parqui di Mostri, Bomarzo, located in the Lazio Province where Rome is located. I had dreamed of Bomarzo, with its monumental grotesque sculptures, characters from literature and fable depicted in giant forms emerging from the woods, mysterious and mossy. In winter the black tracery of bare trees decorated with water droplets web the grey sky. Yellow catkins dangled from the hazelnuts framing nymphs and mythical beasts. The Count Orsini built his palace in the medieval town of Bomarzo, looming over the valley that looks down on the Bosco. He created a fantasy world in which to entertain and astound visitors. I would imagine they had amazing costume parties here. I self published a book called 'The Gardens of Southern Italy' that you can view or order by clicking on the link at the top of the essay. North African cities is have an urban center called the Medina, a pedestrian realm that excludes cars. This is a profound environment for an American like me. Automobiles may very well bring about our demise on this planet from the gluttonous use of fossil fuels we extract and burn to power them, let alone the vast reserves of land that we have sacrificed to our system of highways and streets. In only a century we have turned our precious planet in to a fouled mess for the convenience of getting around as quickly as possible. 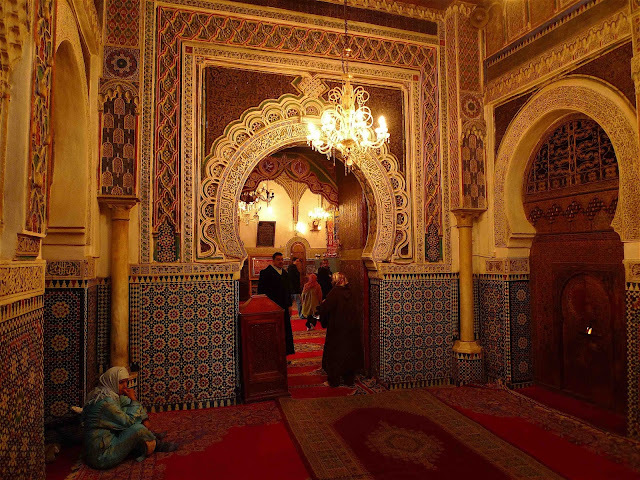 I also self published a book of photos of Morocco you can view or order by clicking on the link at the beginning of this essay. For 6 years after I completed my degree in Landscape Architecture I made my living making costumes and accessories which I sold all over the United States. Costuming has been an important part of my personal expression and I continue to sew creations for festivals that I attend every year. 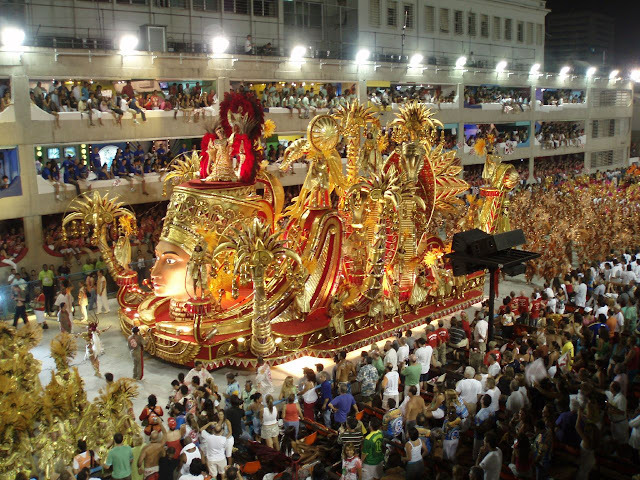 It was a dream to experience Carnevale in Brazil, a spectacle unrivaled in the world. 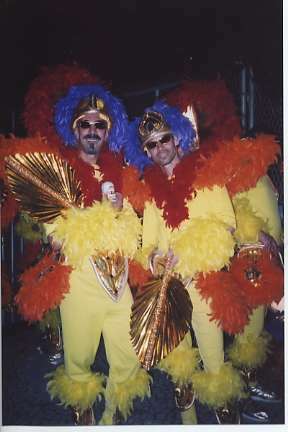 The first two Carnevales I participated in were in Rio de Janiero, where I attended samba school and danced with the Manguiera school, the largest in Rio. Costume pageants in Rio feature outfits so huge and elaborate that they enter the realm of the impossible. The third was in Recife to the north. 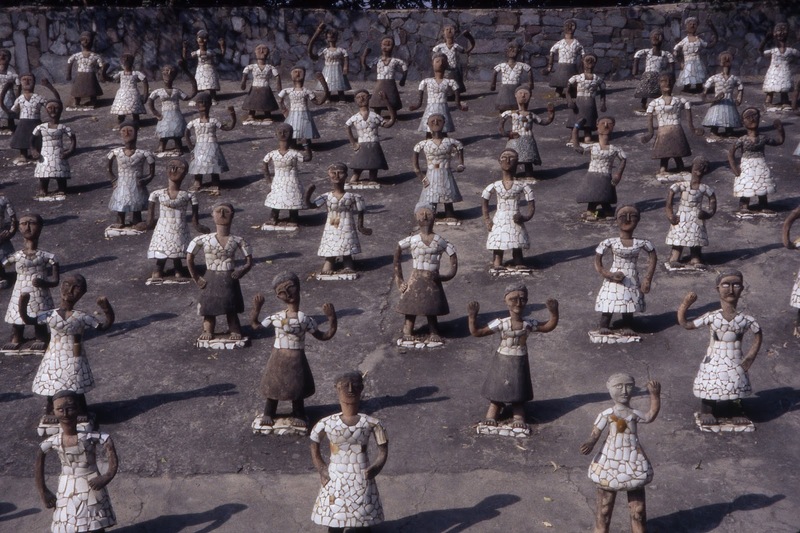 Each region has its own special style of dance and a broad range of costumes. Vast quantities of feathers are produced in large farms for the events. So much fun! I grew up in Eugene, Oregon. 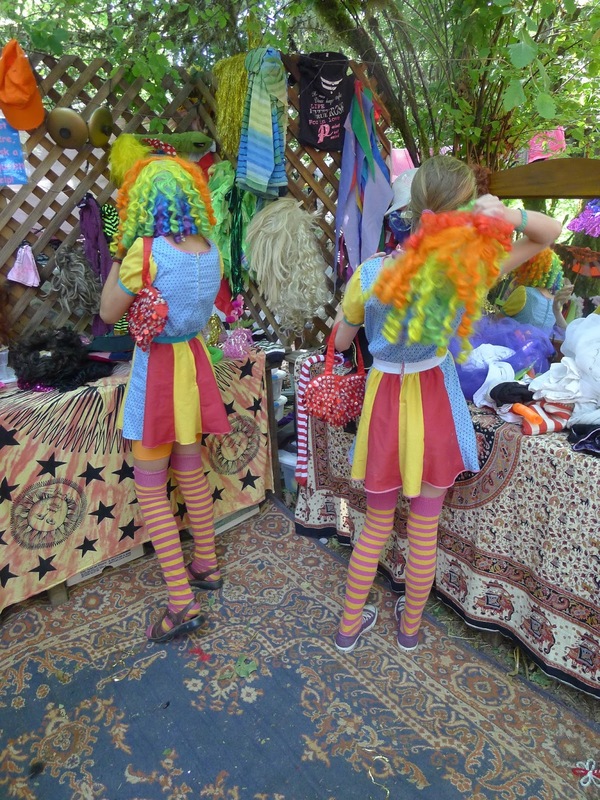 The region's greatest festival is the Oregon Country Fair, which I describe as being the quintessential hippie fair. My parents took me as a child and I later joined an ambience troupe called Risk of Change, where I honed my skills as a costume maker and performer. Creating various characters and embodying them helped teach me the potential for manifesting realities. We can become what we want to become through intention. We dress outrageously and dance about bringing joy to those we encounter. It keeps inspires me, keeps me young, and fills me with love. 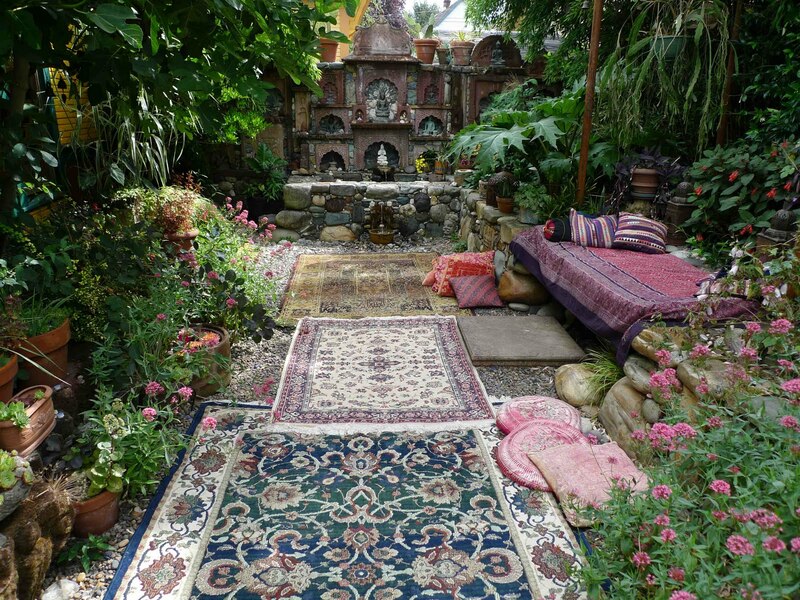 I also learned from our camp that you can carpet the ground with beautiful old carpets and pillows to create an outdoor room for lounging around with friends, and what a wonderful thing that is. 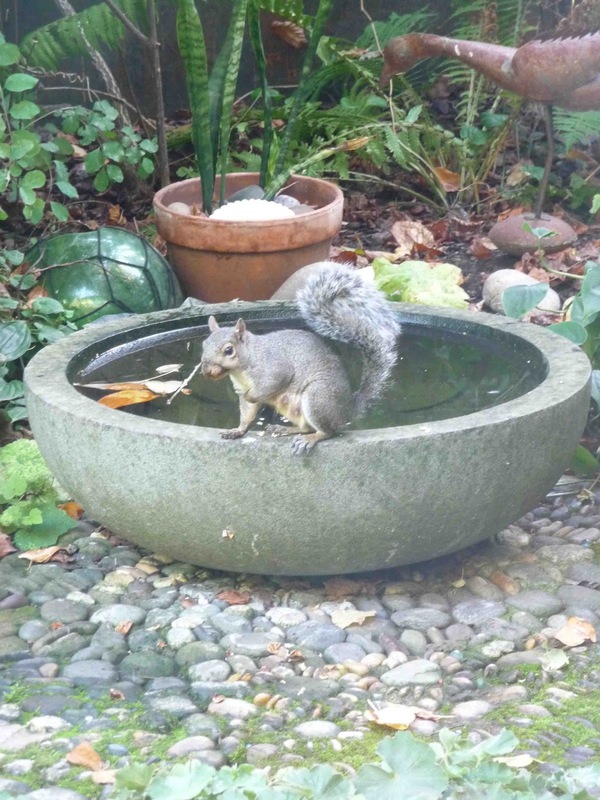 This is the inspiration for why I put carpets out in my garden on dry days in summer. The most outrageous festival I have ever attended is Burning Man. A new world appears on the perfect white slate of an enormous dry lake bed in the high Great Basin desert of Nevada. 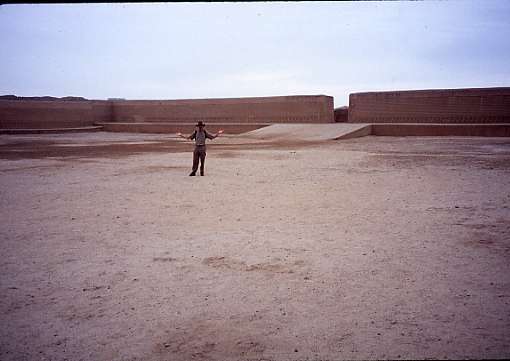 Because the playa is flat and bare of vegetation and nearly devoid of life when it is dry it is possible to build monumental structures that can be burned. The element of fire is paramount. But what is truly astounding about this event is the level of creativity that it inspires in its participants. It is impossible to come away without profound inspiration. Some of the most beautiful creations I have ever seen were manifested for this one week of Bacchanalia in late August. At the end of the festival the playa is picked meticulously clean and returned to the pristine wilderness condition. Earth is a breathtaking place to inhabit, rich in treasures that are worth knowing and deriving inspiration from. It is my intention to do my best to honor the spirit of this potential in my lifetime. Thanks for a really inspiring post! Awesome. So very awesome is our world. Thank you for sharing. Jeffery, inspired by your work I became a pebble mosaic artist. I would love to share a large mandala patio I made as I think you would appreciate it.